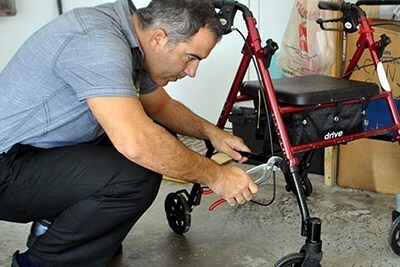 JCSS has a pay-it-forward Durable Medical Equipment (DME) program. JCSS accepts donated supplies and DME such as wheelchairs, walkers, canes, shower seats and bedside commodes, in good condition. The DME is then given to seniors in need for no charge. JCSS also supplies adult protective underwear, personal products and toiletries, as well as other needed items.